Hello! I’m James Archer from our Kew head office. You probably already know that if your carpets don’t undergo regular cleaning by a professional carpet cleaner they’ll become damaged permanently with unsightly stains, traffic lanes and discolouring.But there’s an even more urgent reason to ACT NOW!Unclean carpets can also pose a health risk to you and your family exposing them to hrmful air pollutants that creates the perfect environment for asthma, eczema, rhinitis or allergic attack. MyHome Surrey Hills uses modern machinery and new techniques for carpet cleaning. Our DRY-Touch carpet cleaning methods clean and dry carpets in just 60 minutes. We use Healthguard in our cleaning agents to rid carpets of old stains, fungus and bacteria formations. Our cleaning systems ensure that your carpets retain their original colour, balance and the softness of the carpet is not damaged. We make sure that at MyHome Dry-touch the carpets are cleaned to perfection. There will be no chemical or after-wash odour in the carpets using our cleaning formulas. We do not make use of hard chemicals for carpet cleaning that leaves the carpet out of shape. Similarly, our heating mechanism is controlled to avoid excessive heating on the carpet or too much moisture. We perform complete vacuuming of the carpet before we start the cleaning process to ensure the best results. Our standard cleaning services are the same at all MyHome carpet DRY-Touch Cleaning service centres. People in Surrey Hills prefer carpeting over hard flooring. While some use carpeting to stylise their household, others prefer carpet as it brings warmth and coziness to the home. People look for colours, size, brand, and the different designs of carpet available on the market before making a selection. Not only do carpets add to the aesthetic beauty and coziness of the house, but it also protects small children and pets from hard floors. However, most homeowners are unaware of how to keep their carpets long lasting with the same fresh look and smell as when they purchased the carpet. The answer is to simply ensure proper and timely cleaning of the carpets by a professional cleaner. 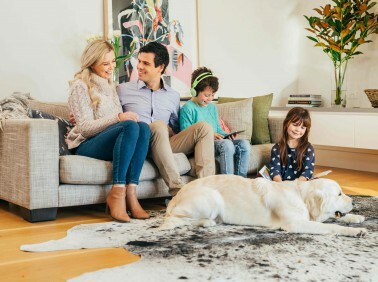 Using the advanced cleaning services of MyHome Carpet Cleaning Surrey Hills will guarantee that your carpet will remain fresh and clean for a long time. 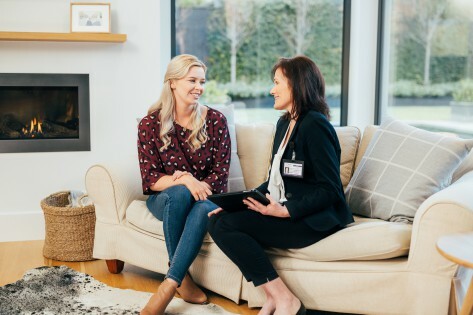 You will save on your investment as with our services you will increase the life of your carpet and will not have to replace or buy a new carpet anytime soon. We do all this without excessively soaking your rug in water and our service turnaround time is just one hour! We are confident in our cleaning services. MyHome Surrey Hills Carpet Cleaning guarantees 100% satisfaction or a complete rewash for FREE! Cleaning your carpet may seem like a carefree process but the reality is different. You should be very careful while selecting a carpet cleaning service. Old carpet cleaners use harsh chemical, hot-water extraction systems that spoils the carpet, soaks it and eventually the carpet is dirtier after some time. If you value hygiene and safe cleaning without the risks of conventional carpet steaming and washing, that is used by most carpet cleaners, call us now on 13 22 31 . We will provide you a complete carpet cleaning solution with a free no obligation quote. We will also be happy to assist you with your online enquiries as well. Just fill our our online enquiry form.